Kylie Bertucci Independent Demonstrator Australia: Exciting New Tutorial Bundle Subscription! Exciting New Tutorial Bundle Subscription! 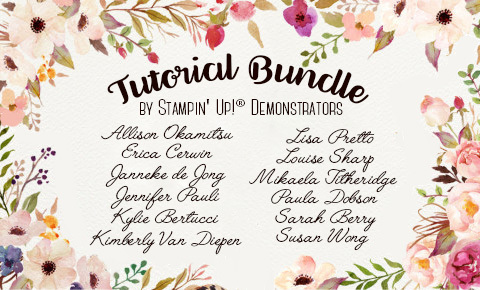 The Tutorial Bundles are based on CURRENT bundles in the Stampin' Up!® catalogues and will have both Metric and Imperial (inches) measurements so that everyone around the world can use these wonderful EXCLUSIVE tutorials. $20 AUD for Five months - one month Free. These demonstrators are super talented and incredible designers. Many are from the artisan team and also Stampin' Up!® business demonstrators. If you are currently a Stampin' Up!® Demonstrator - these tutorials will be such a great way for you to get some awesome ideas. If you live in Australia and purchase over $50 with me this month you will receive this bundle of 12 tutorials for FREE! What an exciting offer is before you! The August Tutorials are ready now and as soon as you purchase you will be emailed the bundle. Questions?? Feel free to ask me! cheers can't wait, Is it better value to buy the $50 worth and get it free???? do i have that right? ?